Skin creams like Fair and Lovely are used in India to appear lighter skinned. Last year, while staying with a very conservative host family in north India, I was privy to a candid conversation about my skin color—a conversation that didn’t include me. As I pretended to stay asleep between the grandmother and mother, I listened to them discuss my appearance, which, to be fair, was very low on my priority list at a time when all my belongings fit into a hiking backpack. It wasn’t the first time I’ve been forced to listen to comments about my skin—the topic has come up in my extended family several times, usually in relation to beauty, marriage, and the tan I get every summer. But their exchange also served as a reminder that, despite the backlash in progressive Indian circles, the color of someone’s skin continues to be an age-old point of contention dating back at least to British colonization, and perhaps even to ancient times. Flash forward to April 2012, when I woke up to find my various social media platforms teeming with rants about a new fairness cream in India, Clean and Dry Intimate Wash, designed to lighten a woman’s intimate parts. My friends—Indian and non-Indian alike—were infuriated, writing messages about the injustice, posting videos of the advertisement, and circulating a Jezebel screed that vehemently rejects the fairness products. As an Indian American, and someone sensitive to the topic, I have seen this sort of outrage in our media come in waves. Every so often I discover You Tube parodies about Fair and Lovely, the reigning fairness cream, and Indian ad campaigns that try to dispel the myth that the most beautiful women from the subcontinent are the ones who could pass as Westerners. It’s unfair, the critics say, that four in 10 women, and now many men, in India think they are too dark to be attractive, and keep fairness creams on their shelves just like any other moisturizer. Instead new campaigns and spokespeople promote photos of Bollywood actresses and supermodels like Lakshmi Menon who don’t fit the mold. And there are other reasons to fight Fair and Lovely. 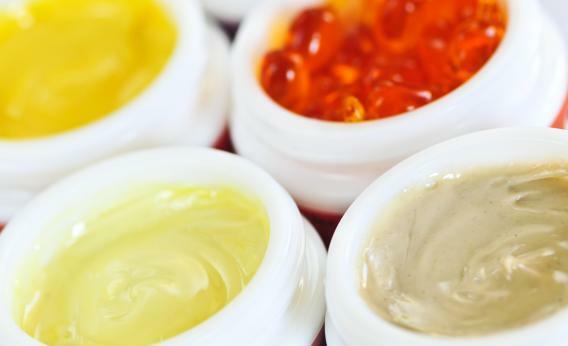 The creams are not natural—they are chock full of chemicals like mercury, that can damage the kidneys and seep into the placenta during pregnancy. Women who use Fair and Lovely don’t always use any other sort of sunblock, increasing their chances of skin disease and sun exposure. And the market—which is set to surpass $2 billion in Asia—has invaded every sort of print, online and broadcast medium that young girls might encounter in their daily routine. But then, our obsession with skin color in the U.S. is equally alive and well, just in the opposite direction. The indoor tanning industry is worth $5 billion, surpassing that of China and India combined, and about 70 percent of young and middle-aged Caucasian women use products to make their skin darker. States have only started to ban teens from hitting the tanning beds in the past decade. For Americans, a tan is associated with being healthy and athletic; the need to have some “color” in your cheeks, arms, or cleavage has become the norm. In a way, it’s comparing apples to oranges—the social implications of fairness cream in India can be vastly different than tanning in the U.S. But the truth is, such distinctions don’t amount to much when people’s health and positive self-image in both countries are under threat.